Categories: Catnip, Cats, Custom Stores, Dogs, Pet Supplies, Pet Supplies: International Shipping Available, Self-Service, Special Features Stores, Specialty Stores, Treats, Why Keep Them Waiting? | Prime Free Two-Day Shipping. 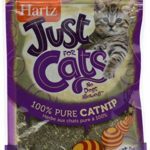 SmartyKat Organic Catnip is 100% certified organic without chemicals, pesticides or other fillers, which makes it the safe, pure and potent choice for your cat. 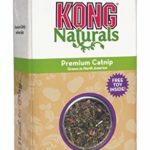 Catnip naturally stimulates most cats, providing a burst of playful energy, usually followed by a mellow period. It attracts cats like a magnet and can be used to lure cats to toys, scratchers and bedding. 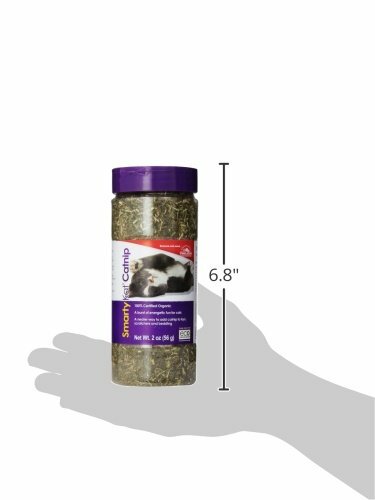 The 2 ounce canister allows you to shake or pour catnip. SmartyKat gives pet parents the best of all worlds: innovative products, stylish designs, environmental responsibility, and exceptional value with a variety of toys to meet a cat’s need for play, scratching, wellness, rest, and fun! A member of the Worldwise family of pet products, SmartyKat is grounded in the principles of pet safety, customer satisfaction, and environmental responsibility. SmartyKat products are designed to meet or exceed all applicable safety standards. They are then tested against those standards to ensure they meet our strict quality and safety requirements – ensuring they’re safe for all members of your family. SmartyKat offers a complete satisfaction guarantee. If a customer is dissatisfied with a SmartyKat product for any reason, they will replace it or refund it.